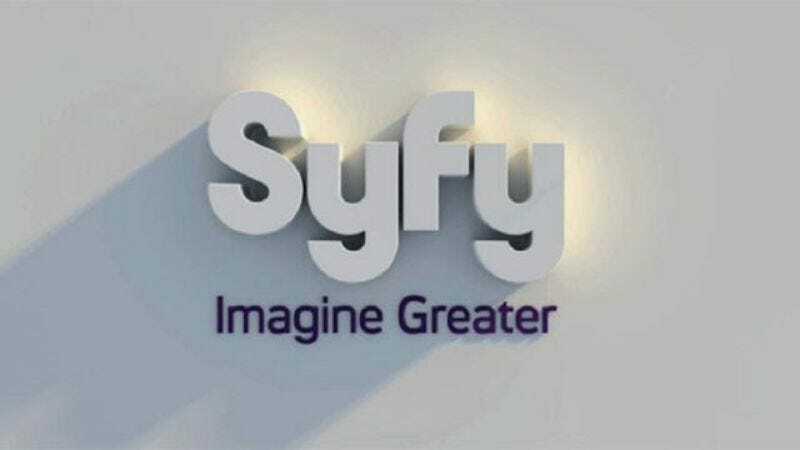 Despite rebranding itself a few years ago in an attempt to stop scaring off people who don’t like science-fiction—but do like syence-fyction—Syfy seems to have had a renewed interest lately in proving its commitment to things other than wrestling and hunting ghosts. In other words, science-fiction. First there were the Sharknado movies, which we understand are pretty hard-edged sci-fi, then the 12 Monkeys adaptation, and now—according to Deadline—Syfy is developing a miniseries version of Arthur C. Clarke’s Childhood’s End. Clarke’s novel is about aliens who peacefully invade Earth, claiming to only want to help mankind avoid extinction. The human race goes along with it because it loves taking the easy way out, and the aliens—called Overlords—quickly end all war and turn the planet into a veritable utopia. Of course, anyone who hasn’t read the book may notice their sci-fi cliché detectors going off about now, but this isn’t V, this is a very highly regarded novel from a very famous writer. The aliens won’t turn out to be lizard people who just want to eat humans, unless Syfy makes some drastic changes to the book. Anyway, the Childhood’s End miniseries is coming from a pretty impressive pedigree, with Social Network producer Michael De Luca and A Beautiful Mind writer Akiva Goldsman doing whatever producers do. Also, a pair of Doctor Who veterans will be joining as well, with Nick Hurran directing and Matthew Graham writing. Look for this adaptation of a critically acclaimed sci-fi novel to air on Syfy at some point in the future, presumably in between airings of Sharknado 3: This Time The Sharks Have Guns Or Something.